Turn Selfies Into Sensations. Make Photos Masterpieces. Super simple. Select your photo. Select an effect. 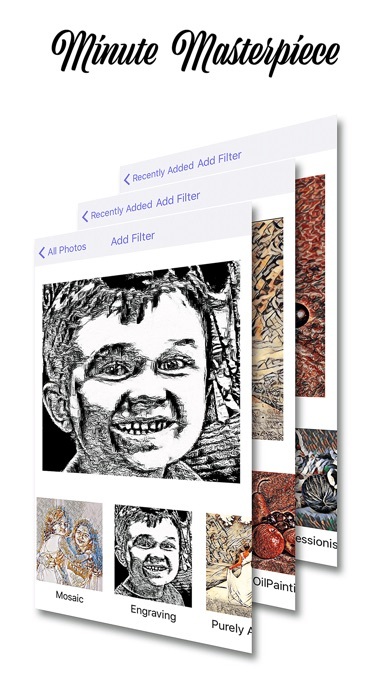 Minute Masterpiece will reimagine your photo through an beautiful artistic filter. 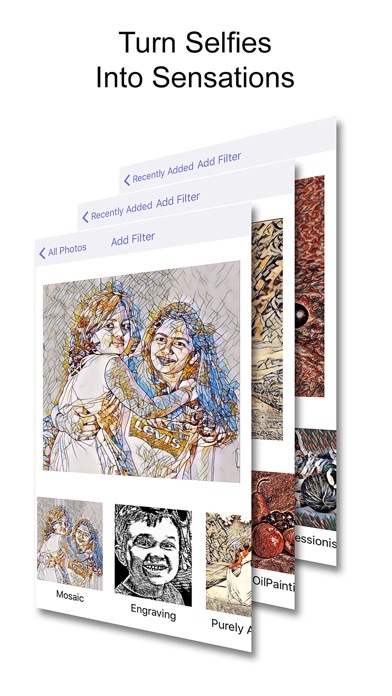 Filter images using artificial intelligence! Process your imagery through filters based on machine learning, neural processing and artificial intelligence. We’ve taught our robots how some of the most famous artists in history paint and they’re available to recreate your photographs and selfies in the same style. Beautiful Filters: Impressionist Campaign Style Mosaic Engraving Abstract Oil Painting Nature Patterns Black & Red Select Pictures From: Facebook Instagram Flickr Your Phone’s Images Create Monet inspired landscapes, Picasso pics, Frank Webb watercolors, William Sommer style floral pieces and John Singer Sargent stroked masterpieces. 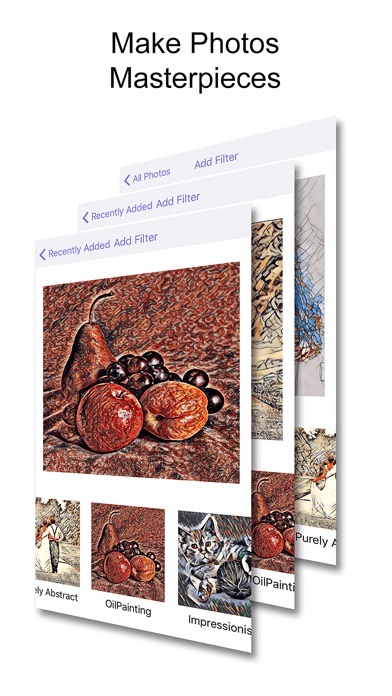 Level up your photos with state of the art effect filters today. 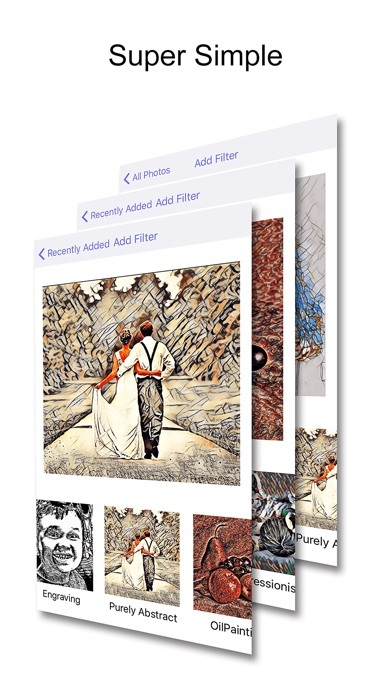 Perfect for photo enthusiasts, scrapbookers, selfie stars and website artists. You can also print your Minute Masterpiece’s at Walgreens, Daune Reade, Boots, Warehouse Sationery and dm drogerie with our integrated Print Button. Taping print will launch our Printicular app which can send your photos to Walgreens. Prints are ready in about an hour. Use coupon code MEAM to save 30% off your Walgreens prints when using Printicular.